What Happens If Borax Is Ingested? Activated charcoal removes toxins and other chemicals from air, water and blood. In particular, activated charcoal is a go-to therapy for people who have ingested poisonous materials or overdosed on drugs. Activated charcoal can be purchased without a prescription and used safely at home, but you should always contact a health professional when a poisoning or overdose occurs. Activated charcoal is also referred to as activated carbon. 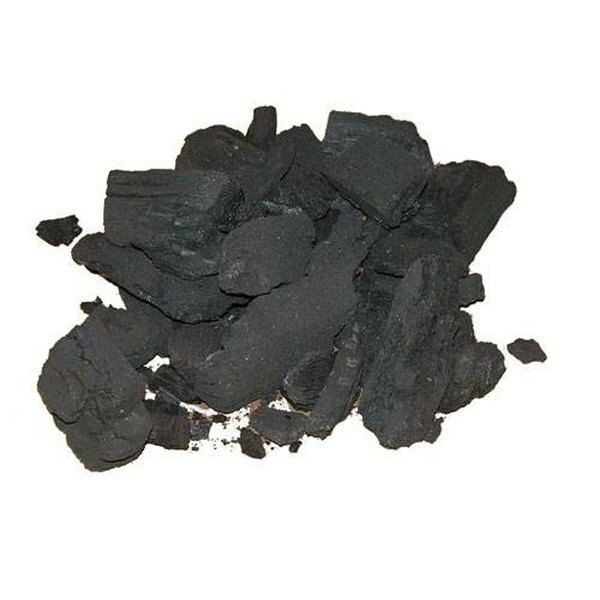 Chemical manufacturers produce activated charcoal by exposing carbon powder to oxygen contained in highly heated steam. This process increases the surface area of the material, making it highly absorptive. The filters on your kitchen faucet and in room air sanitizer employ activated charcoal. A study reported in the online version of the journal "Pediatrics" on Dec. 6, 2001, confirmed that parents can consistently and safely administer activated charcoal to children at home. Also, U.K. poison control center directors J.A. Vale and A.T. Proudfoot reviewed several clinical studies of the use of activated charcoal to treat poisoning and concluded in a Jan. 9, 1993 "British Medical Journal" article that "a reasonable alternative to lavage [pumping the stomach] would be to give 50-100 g of activated charcoal to adults who have taken a substantial overdose of a toxic substance no more than two hours previously." Vale and Proudfoot further noted that activated charcoal was an effective treatment for children who show symptoms of being poisoned. Activated charcoal will not prevent the absorption of lye, most acids, iron, petroleum products or alcohol into the body. Get anyone who is unconscious to a hospital immediately, and do not give the person activated charcoal yourself. A person who is not awake can easily get activated charcoal in his or her lungs. Do not use or administer activated charcoal when either of the transplant drugs mycophenolic acid (Myfortic---Novartis) or mycophenolate (CellCept---Roche) is also being used. Also, do not use activated charcoal in conjunction with laxatives, soon after surgery or when you or the person you are caring for may be bleeding internally or experiencing an intestinal blockage. Do not take any other medications for at least two hours after using activated charcoal because the charcoal will prevent the other drug from being absorbed. Also do not mix activated charcoal with ice cream or chocolate syrup. Diarrhea is the most common side effect from activated charcoal use. The Mayo Clinic recommends against using activated charcoal products mixed with sorbitol because sorbitol is a laxative. Vomiting, constipation and pain or swelling in the stomach can also occur. Contact your health care provider if you notice swelling or if diarrhea does not resolve within two days. Activated charcoal leaves the body in stool. Do not be concerned if bowel movements turn black for a time after administration of the compound. You do not need a prescription to purchase activated charcoal. Several companies sell generic and branded versions of activated charcoal in the form of capsules, powder, suspensions and tablets. Branded products include Actidose-Aqua liquid and EZ-Char powder from Paddock Laboratories, as well as Kerr Insta-Char liquid from Vista. Ed Lamb is a freelance writer and editor in Virginia Beach, Va. He has written widely in the fields of health policy, pharmacy practice and pharmaceuticals. He has also developed expertise in the areas of employment law, human resources and product packaging and industrial food production. Where Can I Buy a Bottle of Syrup of Ipecac? What is the Difference Between Magnesium Chloride & Magnesium Chelate?